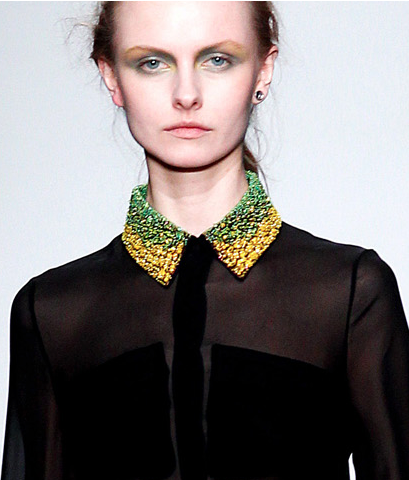 As you may recall the bib necklaces were all the rage last year. 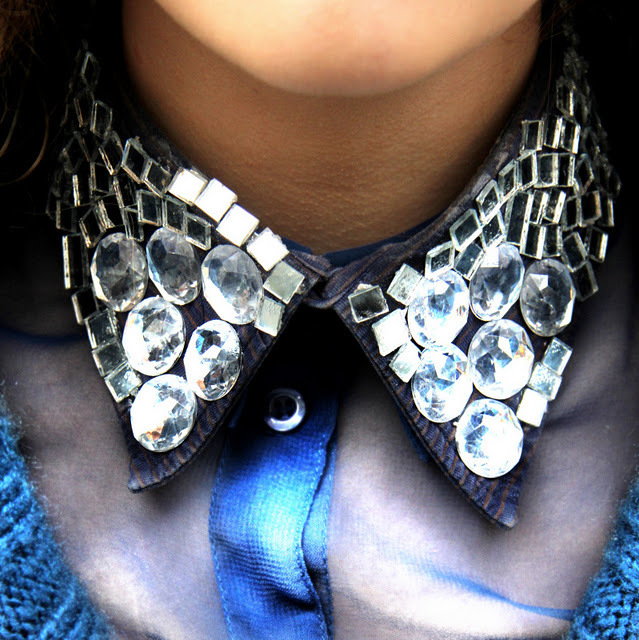 But it’s time to step aside and make way for the embellished collars, arriving in Fall 2011 and now they’re everywhere! 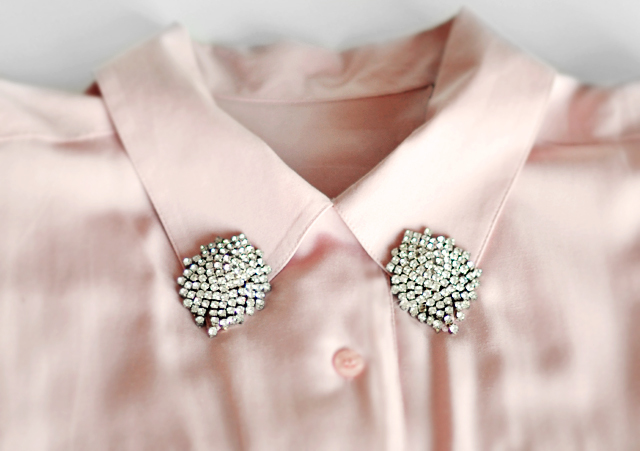 Embellished collars can be on a plain button up or detachable used to dress up any look. 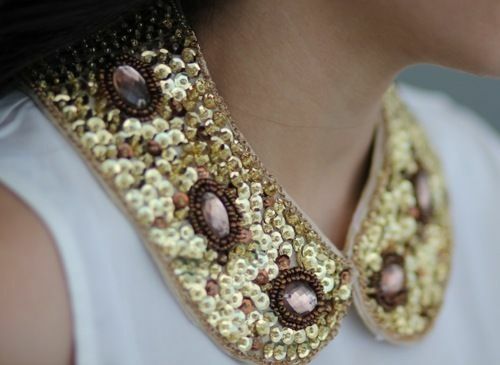 Another smart way to wear your embellished collar is to use it in place of a “choker” by pairing it with a top or dress that has no collar. 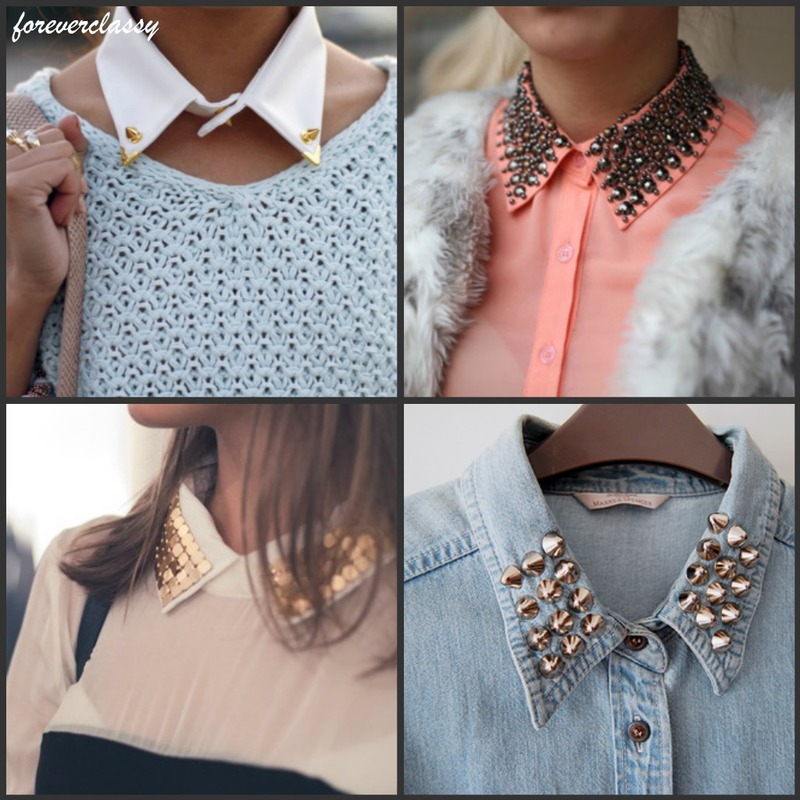 These collars can be a super easy DIY little style hobby, but of course you can always purchase a collar top already embellished. The the classic square collar can be worn both casual and formal while the bib/choker style calls for a more sophisticated and girly look. 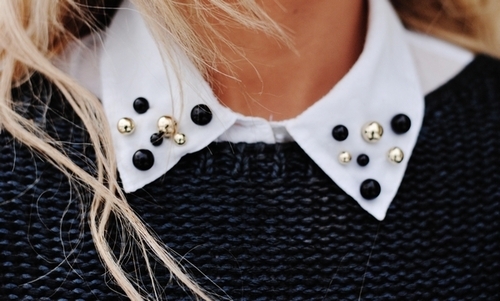 Personalize your collar for every look and make no apologies, make a statement!